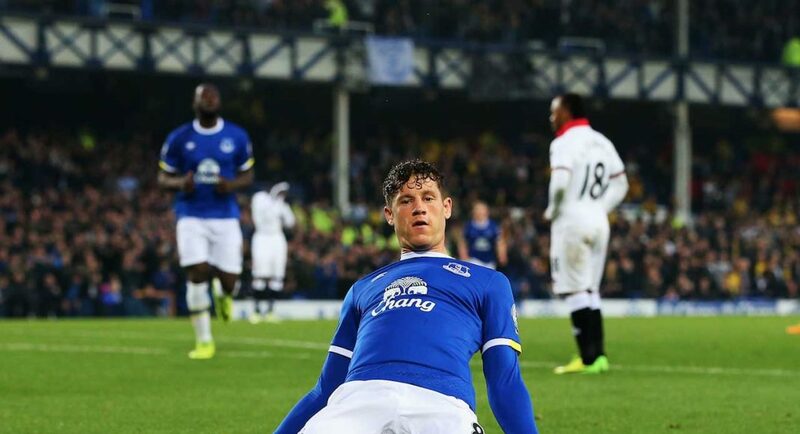 Antonio Conte and Chelsea remain interested in signing Everton starlet Ross Barkley despite the midfielder picking up a fresh injury in training this week, according to The Telegraph. The England international has been ruled out for three months after tearing a hamstring in Everton training, something which was expected to ruin the midfielder’s chances of moving away from Everton this summer. However, as per The Telegraph, Chelsea are still very much interested in bringing the 23-year-old to Stamford Bridge as Antonio Conte rushes to bolster his squad ahead of the close of the summer window. Above all, The Telegraph reveal there are two reasons why Chelsea remain interested in the Everton attacker. Firstly, Barkley is an Everton youth product and, if signed, would increase Chelsea’s home-grown quota for this season. Secondly, at just 23-years-old, the Everton midfielder would be an excellent long-term signing, even if he wouldn’t be able to feature for Chelsea until late October.